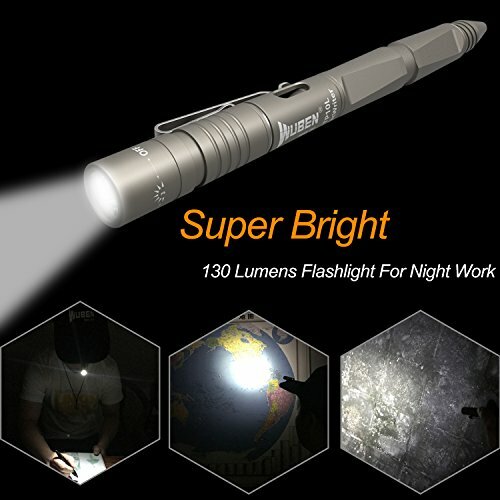 TWO SETTIGNG MODES- Premium CREE XP-G2LED,Low light(3 lumens）and high light(130 lumens),3 in 1 tactical penlight,very unique and cool. 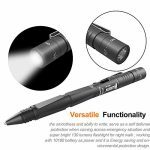 CONVENIENT DESIGN – WUBEN LED penlight features tighten the head to turn on the light and it is easy to clip to the pocket for convenience. 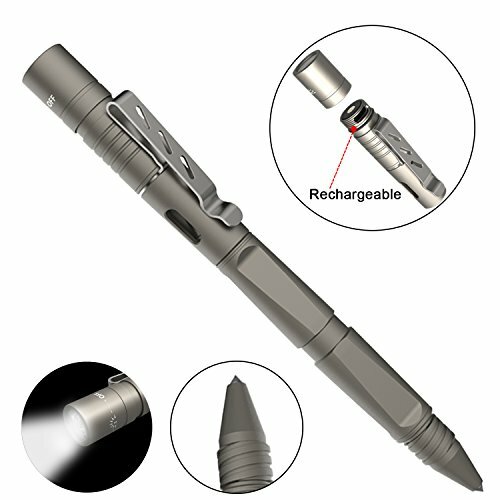 Compact and Portable Tactical Pen, made of Aerospace Aluminum, effect tactical action, improve safety coefficient. High strength, light weight. 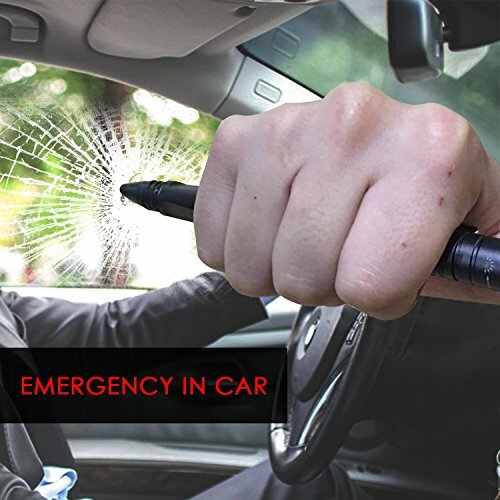 Features an durable carbide tip Glass Breaker, could be used to break glass in emergency. 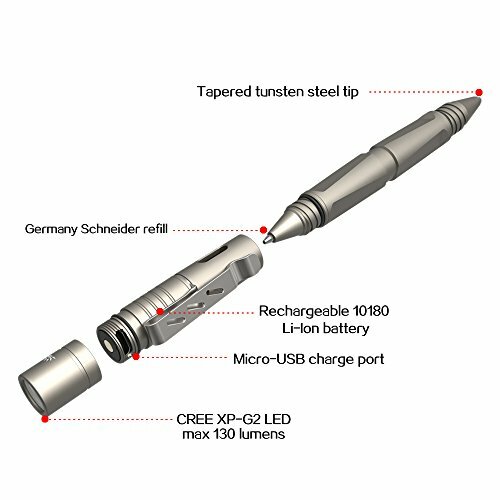 USB rechargeable,Connect the flashlight to any power supply, such as computer, laptop, phone charger, car charger, etc. It takes about 1 hour to fully charge from empty. 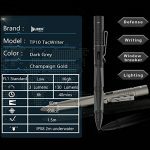 – You can use it as a pen or a survival tool. 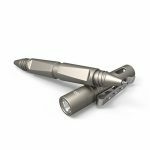 – It is durable and made of the finest quality aluminum alloy. 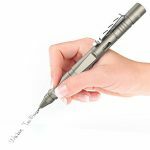 – Works great as a pen, but packed with more functions. 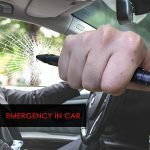 – Great gift for a special occasion. – lightweight and Compact, so it fits in your pocket. TWO SETTIGNG MODES- Premium CREE XPE2-LED,Low light(3 lumens）and high light(130 lumens),3 in 1 tactical penlight,very unique and cool. MINI POCKET SIZE – WUBEN LED penlight measures 6.06 inches in length with a body diameter of 0.54 inches.It’s easy to carry to everywhere. 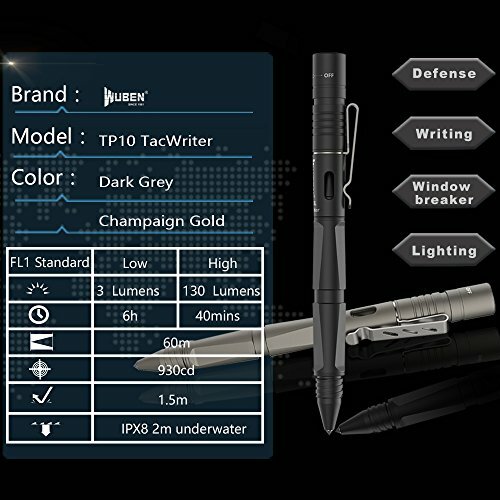 WATER RESISTANT DESIGN – High-strength aerospace aluminum body and Waterproof level IPX8, WUBEN LED penlight is a perfect option for tactical situations like camping, hunting, fishing, police activities,security night patrols and also for Business Office Equipment like writing Signature.